Handyperson's Special! Selling as-is. This cabin has been an excellent rental for years. Priced to sell! Stick-built house in Watauga County well under $100,000! 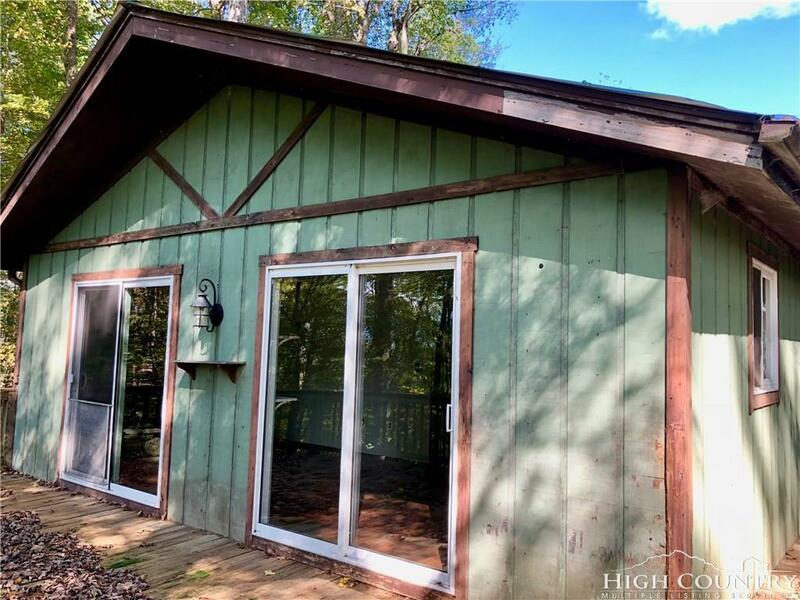 Could be a great little vacation cabin with pastoral views located near the New River. There is an outbuilding and some trails along the ridge. Flat yard with a dog enclosure. Will need some work. Has metal roof but will need new gutters, flooring, paint and deck cleaning and bathroom floor work. This is perfect for someone with basic carpentry skills who wants to build equity by improving the house. Seller will make no repairs. The next house on the right, just past this one is also for sale. 640 Tanner Road at only $199,900. Live in one house and rent the other. Great opportunity!